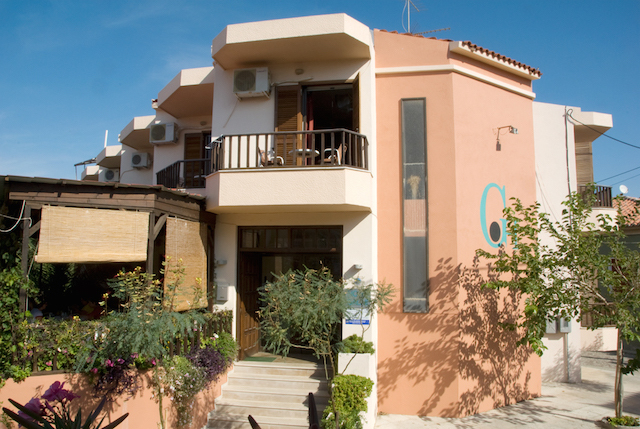 This beautiful 2 star hotel is situated at one of the most touristic place in Lesvos( Skala Eressos),80 meters from the beach. 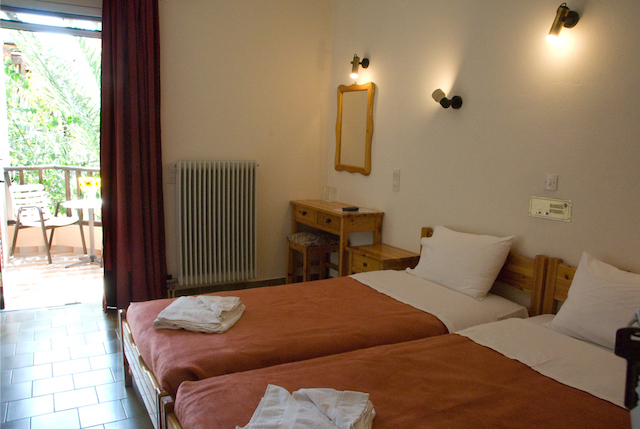 This accommodation is providing all the amenities required, with its unique personality and philosophy, it successfully combines all the privileges of a family size hotel with the components and style of an even higher class tourist hotel. Constructed at 1990 is complying with all legal terms of constracture laws. The place is rich point of interest and easy to reach. With a plot of 479,99 sq.m. the building is 791,94 sq.m.Disposed on three levels, is composed of 20 rooms of which 17 are twin/double,1 triple, and 2 singles. All of the rooms dispose bathroom, air-condition, refrigerator,tv,telephone. All rooms have balconies. The hotel includes a cafe/snack bar with a fantastic client base and reputation. Its verada offers a quiet shady place for group events or exibitions.